the road to Port Augusta actually crosses Goyders Line and it is said that you can really see the difference in vegetation. 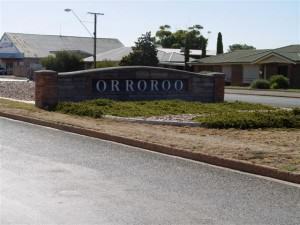 There are many things to see and do in Orroroo including the Yesteryear Costume Gallery, the Pekina Walking Trail, and the Giant Gum Tree but with this only being a one-night stopover we weren’t going to see them all and we definitely wanted to visit Magnetic Hill, located at Black Rock about 16 kilometres (10 miles) from town. So now you’re asking what could be so interesting about a hill? Well, it’s a place that has to be seen, and experienced, to believe. This is the only place in the world where your car will roll uphill. I kid you not. Park your car at the bottom of the hill, out of gear and with the brakes and motor off and you can feel yourself being pulled uphill. Truly! We had to do it again to see if it was some kind of trick. And again. In all we did it 6 times and each and every time we rolled uphill. Forwards, backwards, it made no difference. 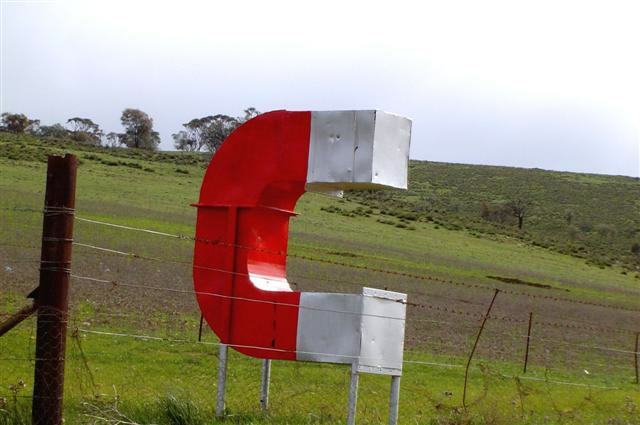 There were a couple of theories as to how this could be but the universally accepted one is that it is an optical illusion. Back in town we stopped at the Commercial Hotel and asked about the hill but they either couldn’t or wouldn’t tell us anything other than a vague acknowledgement of its existence; it’s either a closely guarded secret or they really don’t know. Whatever the cause of this phenomenon it truly is something that has to be seen! 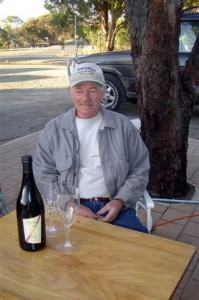 I know the family will never believe it and, in the cold light of day, I’m not sure that I believe it either! 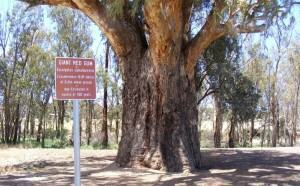 We left the hotel none the wiser and made our way to Pekina Creek to see Orroroo’s famous Giant Gum Tree. 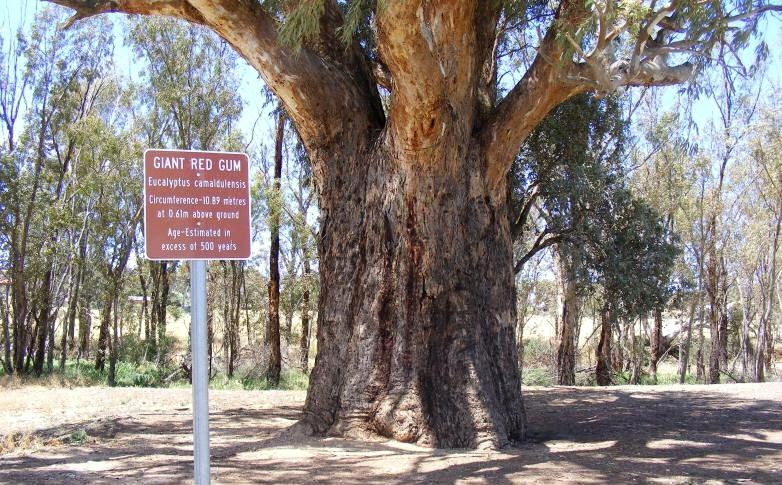 This magnificent red gum is estimated to be about 500 years old. The trunk has a circumference of 10.5 metres (34 feet) and it is so tall that the first fork in the trunk is 6 metres (20 feet) up! Pictures simply don’t do it justice! It was late in the day and so we headed back to camp where we toasted a new adventure with a bottle of Two Tails Sparkling Wine and settled in for an early night before an early start the next morning on a day that would take us up Horrocks Pass and the brilliant spectre of the Spencer Gulf before us. It was chilly when we set off the next morning and it wasn’t long before we passed through the little town of Wilmington and began our climb up Horrocks Pass. Named after the explorer John Horrocks who came this way in 1840, the pass is at an altitude of 462 metres (1516 feet) above sea level. It was a steep climb but when we reached the top we stopped at Hancocks Lookout where there is a memorial cairn to the Horrocks expedition. The amazing sight to greet us there made us forget all about the chilly morning. 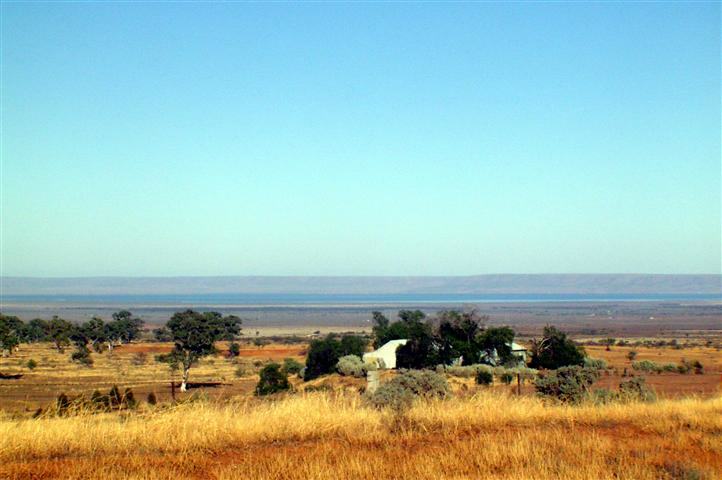 The Spencer Gulf, in all its early morning glory, lay before us, a sparkling finger of crystal clear blue water stretching from the ocean to Port Augusta. At 130 kilometres (80 miles) wide at its widest point and over 320 kilometres (200 miles) long this magnificent triangular inlet of the Indian Ocean was first explored by Matthew Flinders in 1802. Orroroo is an interesting little town well worth a visit. But no matter which direction you’re coming from or going to, you have to travel Horrocks Pass. And if you do find another way . . . forget it. Seeing Spencer Gulf from Hancocks Lookout is something no one should miss. And should you learn the secret of Magnetic Hill, I’d really like to hear from you!